We know where our honey comes from … by name. Knowing the “who” behind your food has been a growing trend for years now. It makes sense; there’s comfort in the fact that the broccoli you’re steaming came from a family farm just 15 miles away. It’s how it should be, and it’s why we never left. You see, we’ve been carrying the farm to fork – or in our case, hive to table – tradition for a while now. 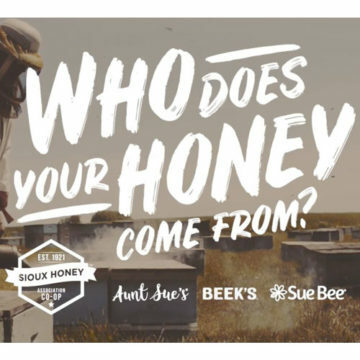 Since 1921, in fact, when five humble American beekeepers got together and started the Sioux Honey Association Co-op. The idea? A beekeeper-owned co-op would allow our beekeepers to pool resources and knowledge while maintaining the integrity of their honey. Nearly 100 years and 250+ beekeepers later, we’re still doing just that. As more imported and adulterated honeys flood the market, it’s become more important than ever to know where your honey comes from. And that’s the beauty of our co-op. Not only do we know where our honey comes from, but we know them by name. Like Will Nissen, for example. Nissen runs Five Star Honey Farms in Minot, North Dakota, and his beekeeping has turned into a full-blown family affair. All three of his sons followed him into the honey business, and he’d be lying if he said he wasn’t pleasantly surprised. 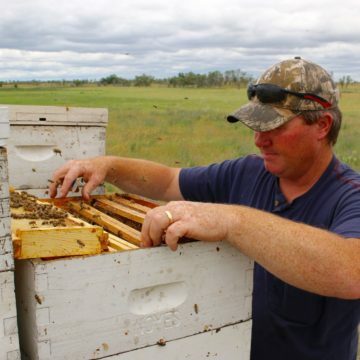 Darrel Rufer, a seasoned chef turned beekeeper, is now one of the top honey producers in our co-op, with more than 5,500 colonies in Minnesota and South Dakota. Joining our co-op in 2003 was one of the biggest decisions he ever made for his business, but he says he’d never go back. Bill Lemmons, ever a wise beekeeper, says the most important quality for a successful hive is a terrific queen. “That’s the same with the family,” he adds, “and we got it.” Even after over 50 years in the beekeeping business, Lemmons’ love for bees and their honey hasn’t ebbed a bit. So, next time you purchase our honey, know you’re not just buying honey. 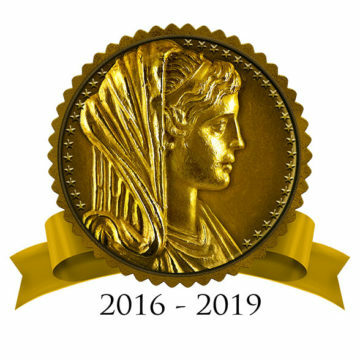 You’re supporting American beekeepers like Nissen, Rufer and Lemmons, keeping family farms in the family and putting premium U.S.A. honey on your cupboard shelf. Thanks for supporting our beekeepers. Click below and take $1 off. Print this $1 off coupon for your next store visit. Aunt Sue’s Raw & Unfiltered Honey can be found in most local grocery stores. Use our store finder to find one near you.